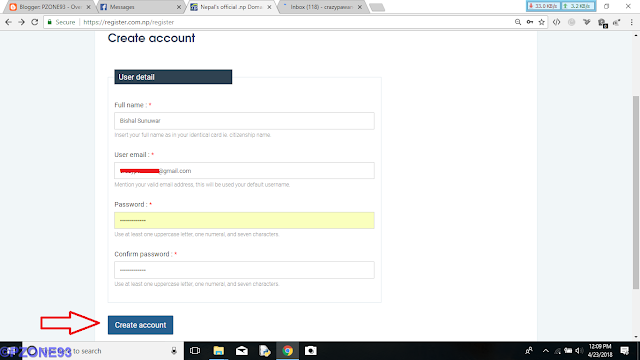 At first, go to https://register.com.np/register and enter your full name, email, and password to create an account first. 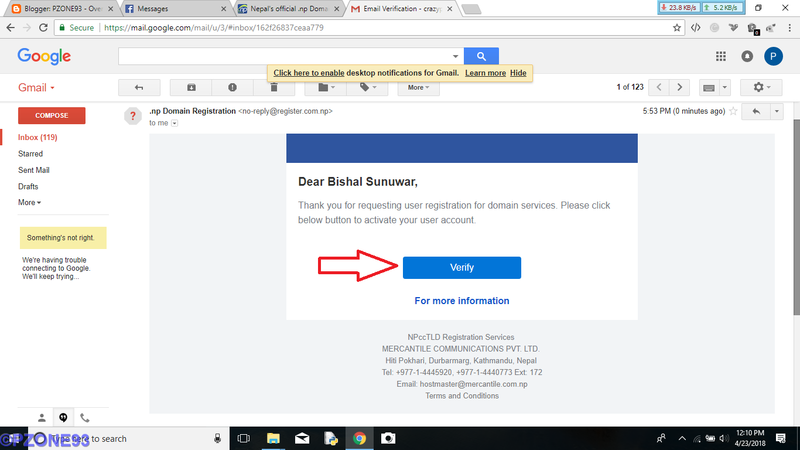 Then check your email for verifying your account. 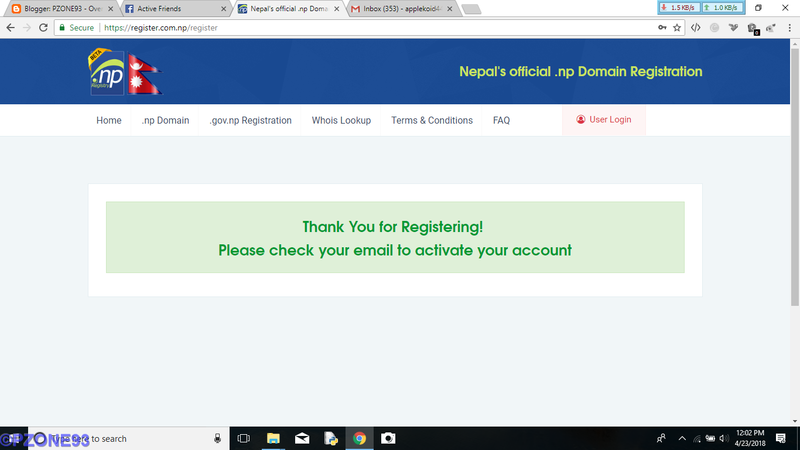 After successful verification, log in at https://register.com.np/login. 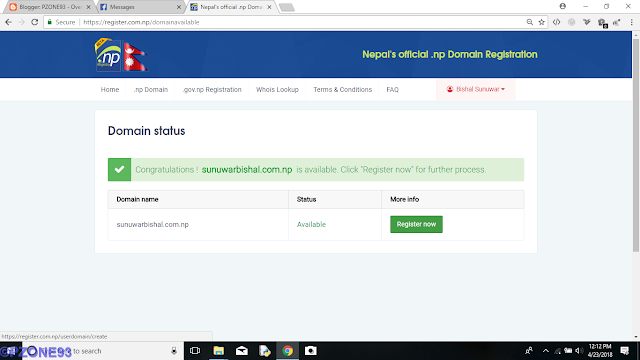 Now, search for the domain you want to register which should be the combination of your first name and last name in any order. 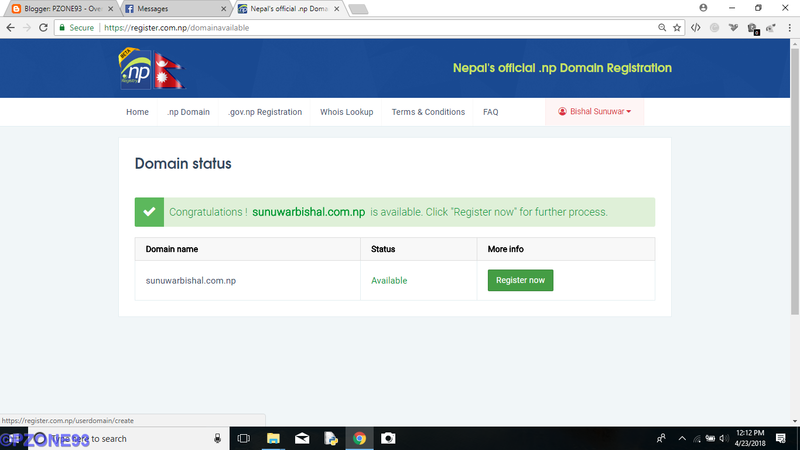 You can register the domain if it is only available. If it is available, click on register now button. 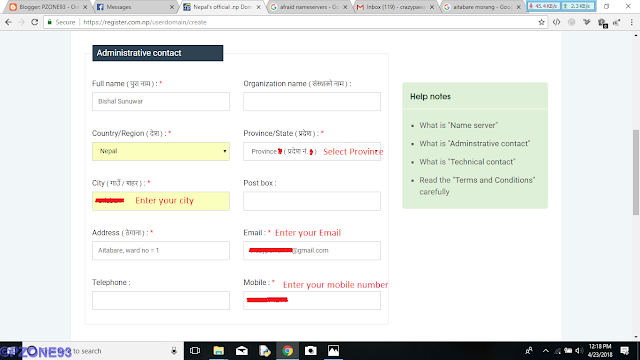 Now, in the domain request form, you have to submit your details. 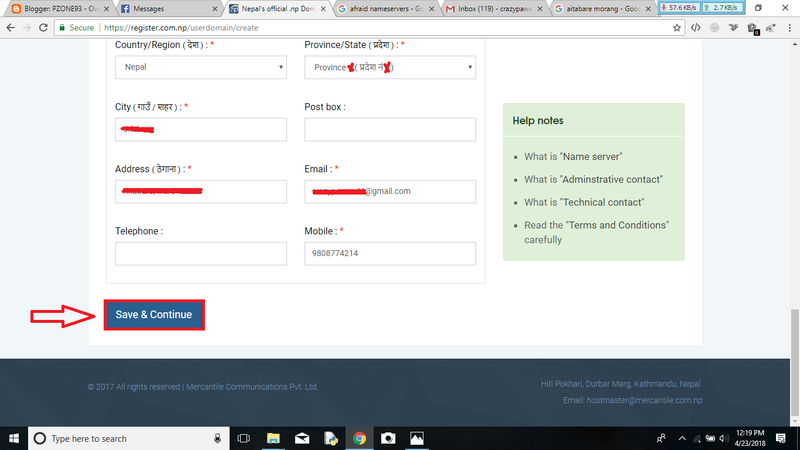 Then fill the name servers where your website is going to be hosted. 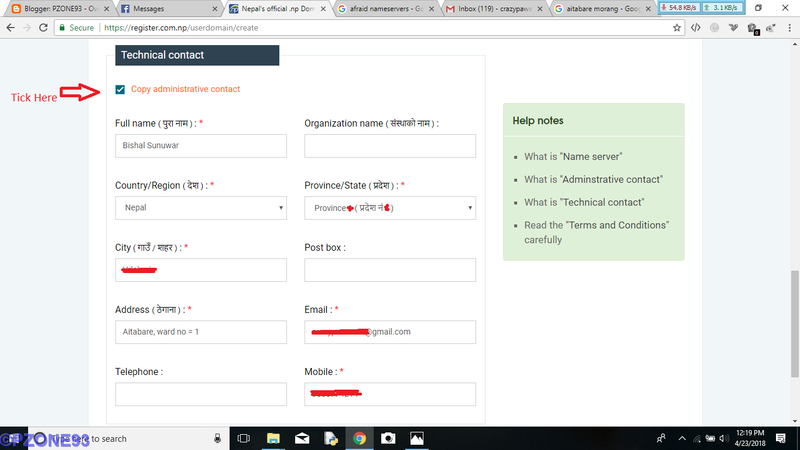 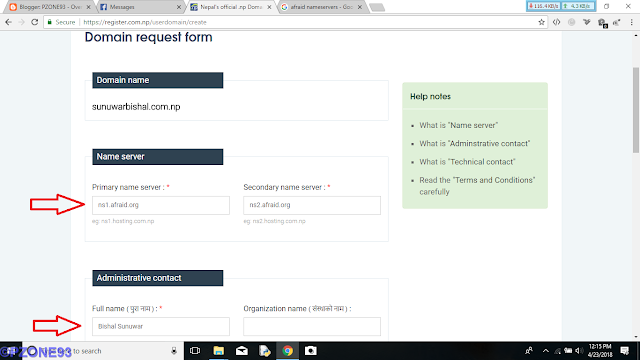 In the name server, I have used afraid.org Nameservers to host .com.np domain on blogger which I will discuss in the further post. Then fill your details carefully as shown in images below and at last click on save and continue button. 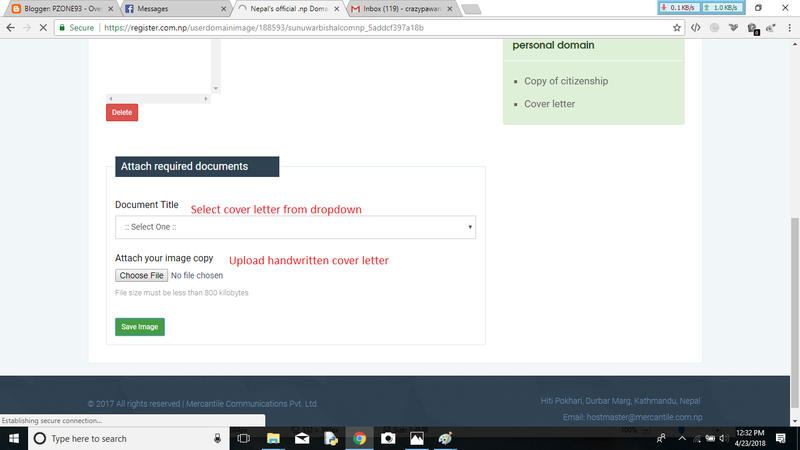 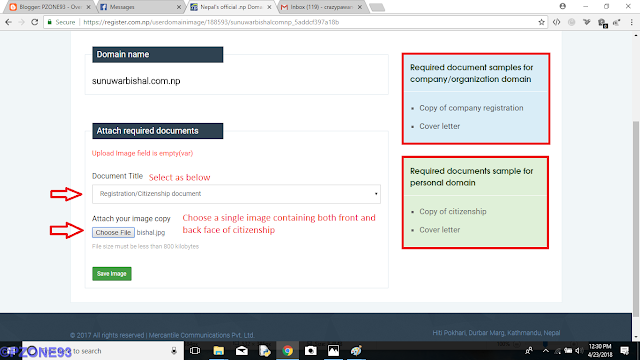 Now you have to submit the documents which may be different for the company/organization domain or personal domain. For company/organization domain, you have to submit the scanned copy of company registration and cover letter. 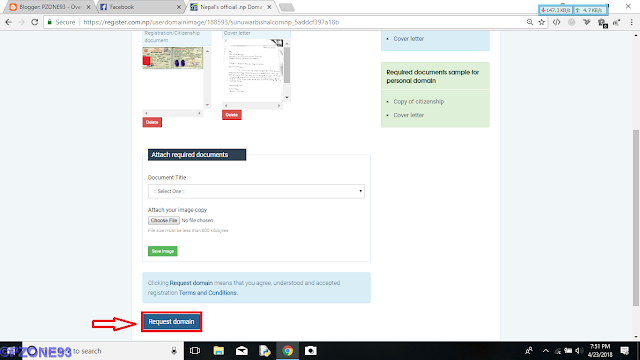 For personal domain, you have to submit scanned copy of citizenship and cover letter. After submitting the required documents, you should click on Request domain. 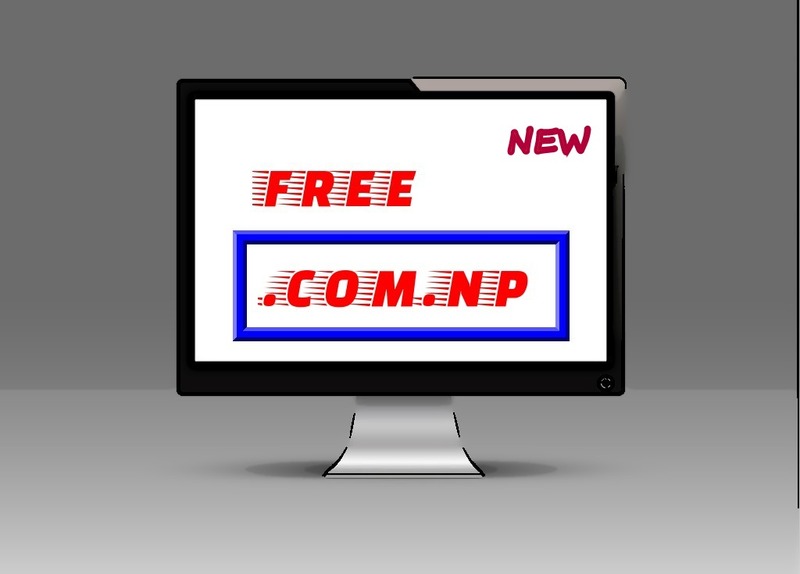 You can proceed as in the images below. 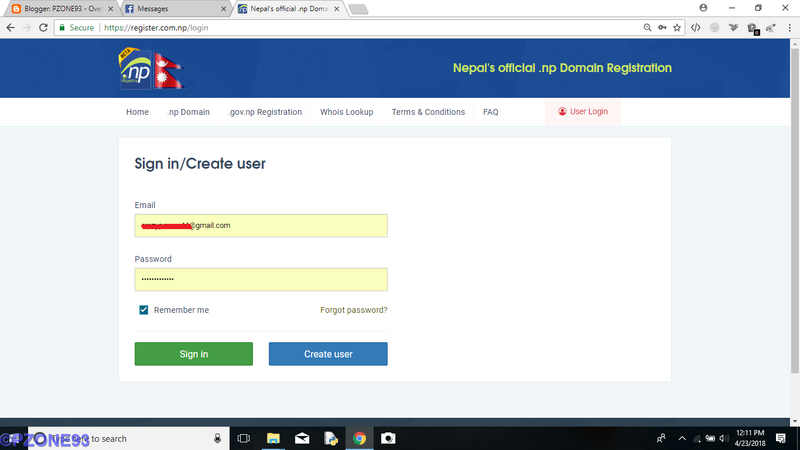 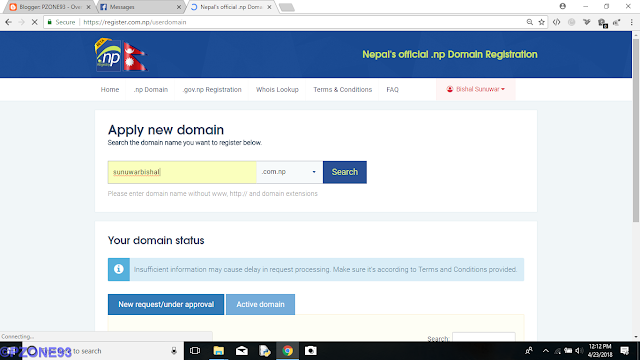 After requesting the domain either for personal use or for the company/organization use, you will see your domain has been requested and generally you have to wait one or more working days for your domain to be activated. The domain I requested got approved within just 12 hours. 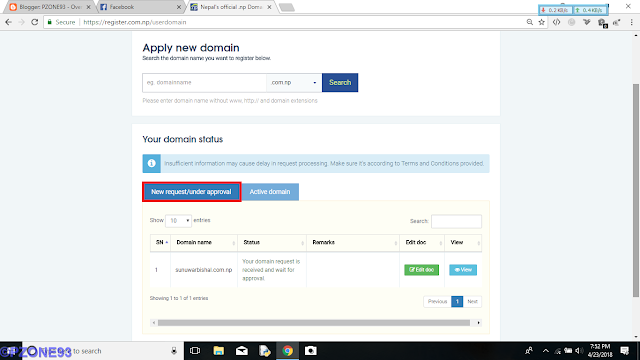 You have to wait until your domain appears in the Active domain list. 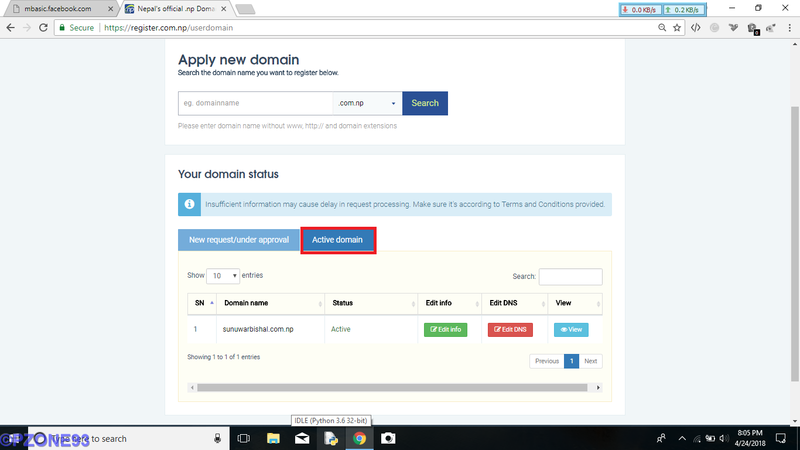 If you want more than one domain you can request it by searching for the available one. If you have any confusion during registration of the domain, you can freely comment below. All suggestions and problems raised are welcomed warmly.